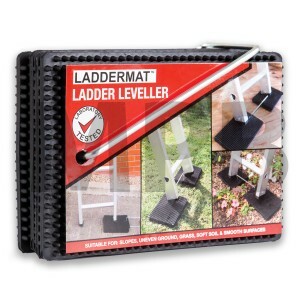 • Securely foot ladders and step-ladders on slimy decking and grass. • Designed with pointed tangs that push into either the grass or between decking planks. 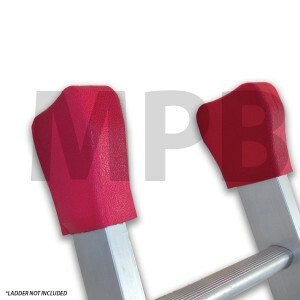 • Ribbed surface area for improved grip. 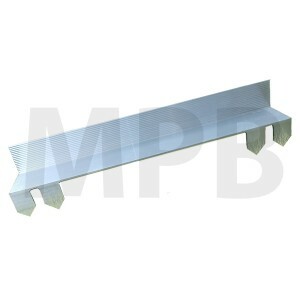 • Made in the U.K. from extruded alloy and corrosion resistant. 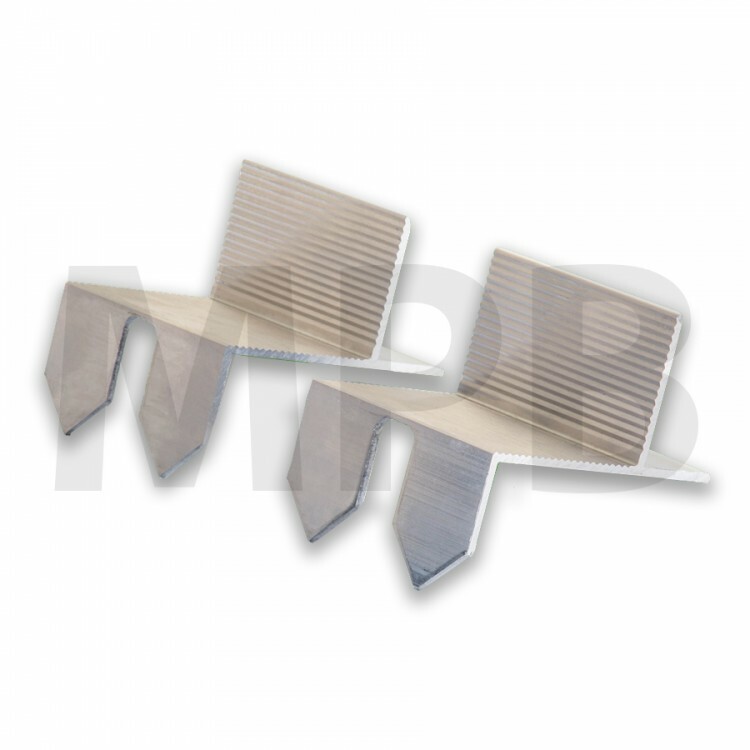 • Suitable for all makes of ladders. 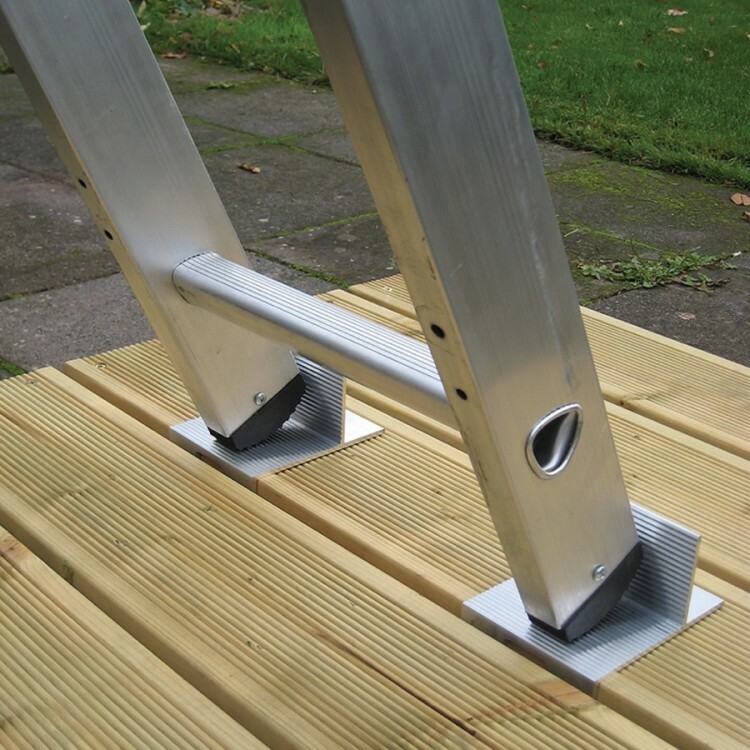 GOLD AWARD WINNING’ FOOTEE is designed to secure the base of ladders and step ladders on slippery decking and grass. 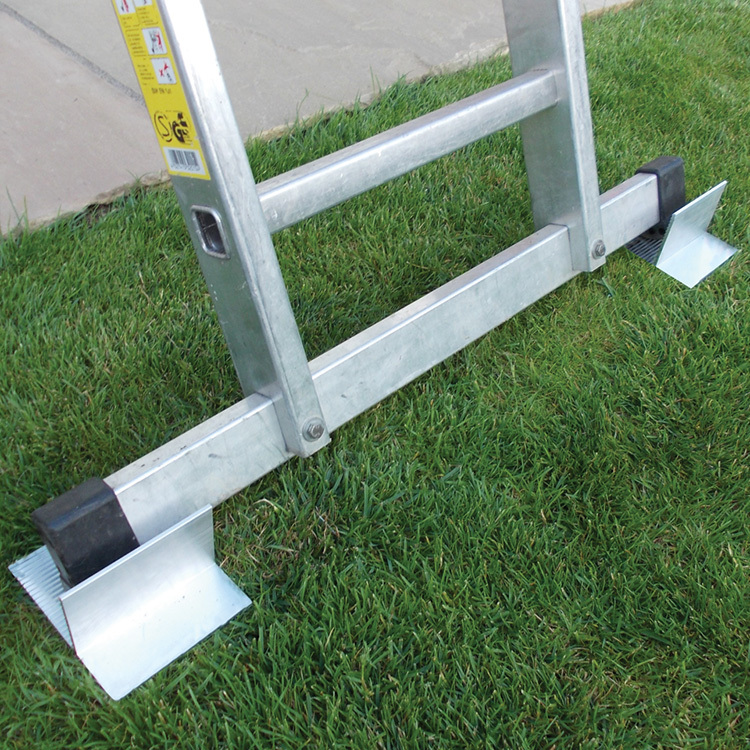 Made from high strength extruded alloy, each pair of FOOTEES is 100mm wide, quick and easy to use, easy to store and can fit the base of the ladder, no matter the width. FOOTEE has been independently tested by Bureau Veritas Consumer Products Services, with a work load of 200kg. Reg. Design No. 4013816.